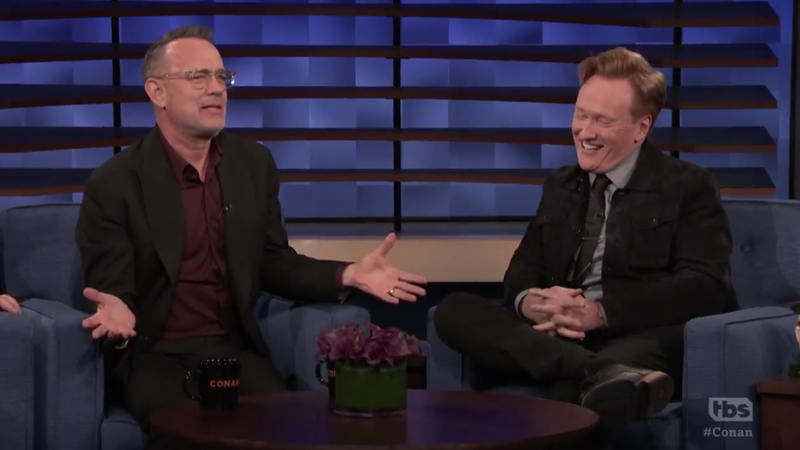 After being off the air since Oct. 4, 2018, “Conan” returned to TBS Tuesday, Jan. 22, 2019, in a revamped half-hour format — and along with it a new set and graphics debuted. 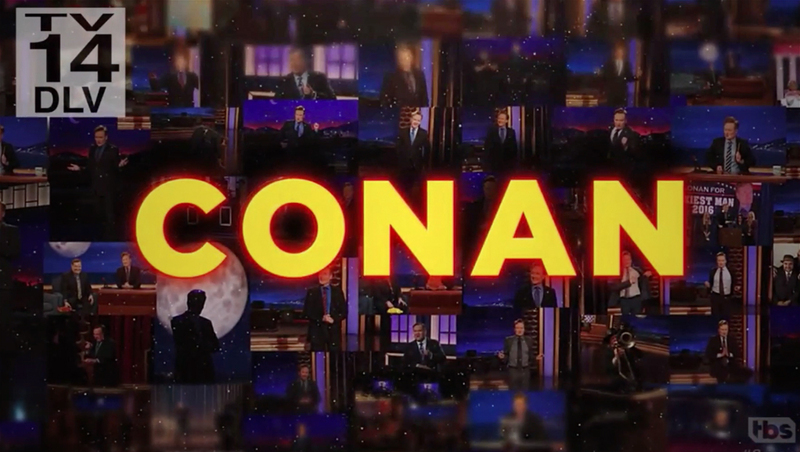 The new show keeps the old “Conan” typography, though it’s now in a new Pantone color known as “Team Coco Orange” — a color carried over from the previous look that also incorporated into the new design. 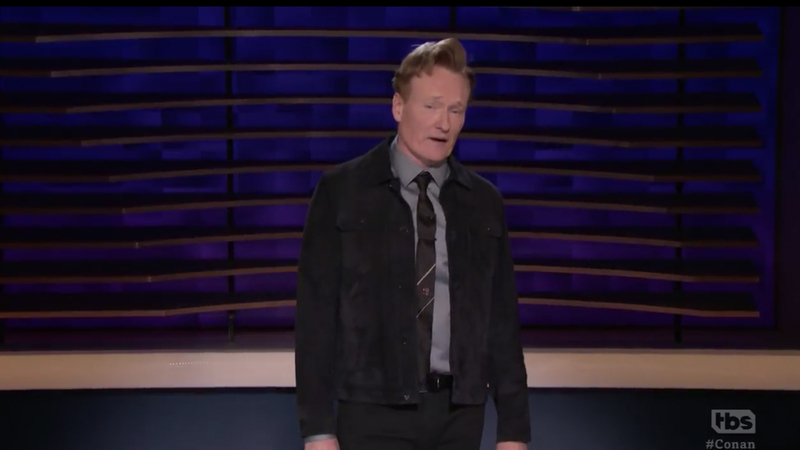 The show’s open has been updated to include a variety of headshots of host Conan O’Brien, including shots from his childhood and long comedy and television career, while the title card shows violet tinted clips, arranged grid-like, behind the show’s title. However, in order to focus on the orange, the multicolored dots under the “Coco” title have been removed from the title slide. 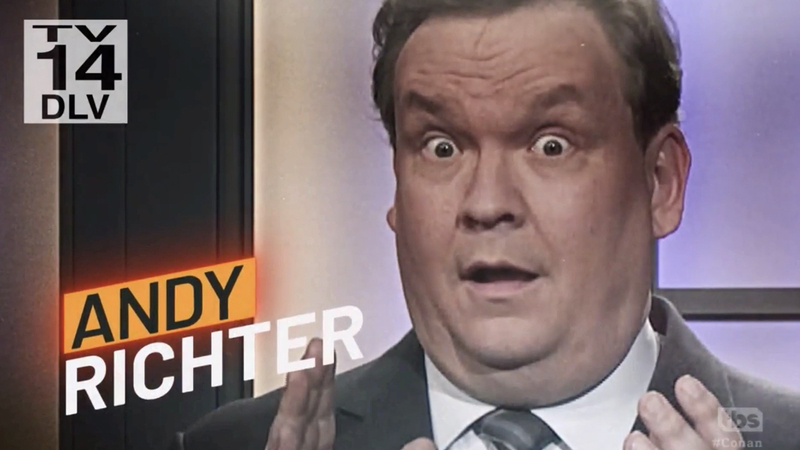 ‘Conan’ sidekick Andy Richter and other guests are introduced using these orange, black and white graphics. 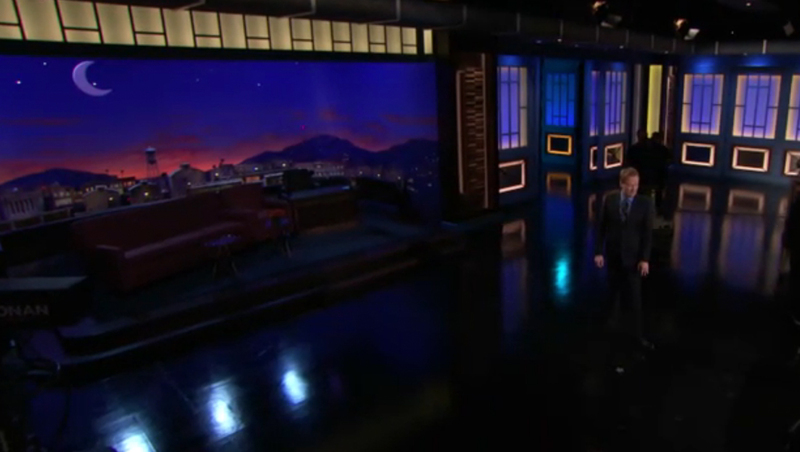 Host Conan O’Brien now enters from stage right and delivers his monologue from in front of a large divider with horizontal slats with a curved accent with a thick frame. 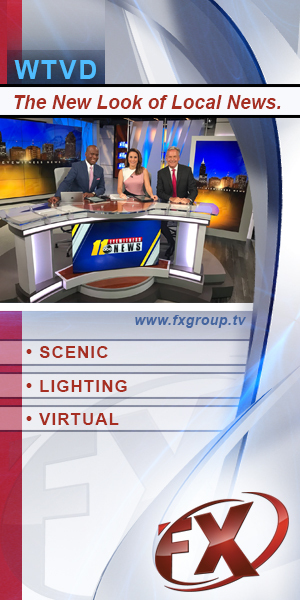 Behind the horizontal banding is a square and gradient blue background. On either side of the main wall segment, small alcoves with decorative shelving serve as entryways for O’Brien and guests. 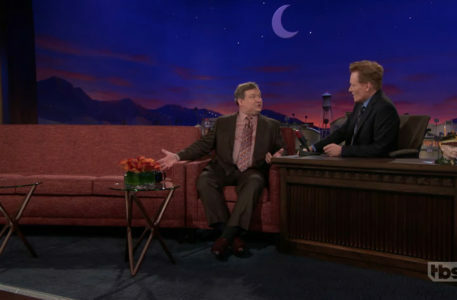 The main background is also used for the primary backdrop for sit-down interviews, which are no longer done from the traditional late night talk shown format of having the host sit behind a desk. Instead, O’Brien sits on the far right in a sturdy blue armchair with the guest and Richter on the left. Another alcove of the set, meanwhile, features horizontal solid panels interspersed with blue backlit accents. This area appears to serve as a sort of multipurpose area for skits and other segments.